What is the 55th wedding anniversary name and symbol? There is no known name for a 55th wedding anniversary, though modern and traditional 55th wedding anniversary gifts have a theme of emerald. 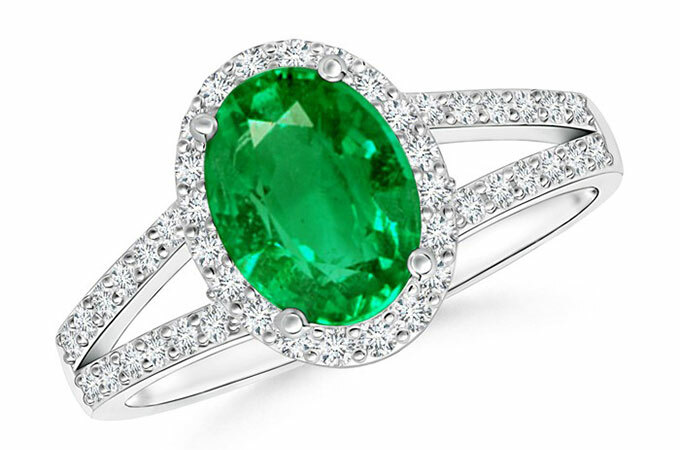 Some may call it the “Emerald Anniversary.” Like emeralds, a marriage that lasts 55 years is a very rare find. To commemorate such an event, the couple, friends or family members should be at their most inventive so that the big day is celebrated in style. No matter what the budget, an extraordinary gift is possible. The “7-38 -55 rule” states that communication is 7% verbal, 38% tone of voice, and 55% body language. Take a holiday or short break in Ireland, also known as the Emerald Isle. If you fancy a quiet holiday in the gorgeous countryside, or something a bit livelier, Ireland offers something for everyone. Tickets for a short flight and accommodation won’t break the bank, and Ireland will give the happy couple a unique emerald themed gift for a 55th anniversary. For the green-fingered, there’s a huge range of gifts you can buy to fit the emerald, or at least emerald or green-coloured, theme. If you’re on a modest budget, opt for plants that will make an impact and last year on year, perhaps a shrub, architectural plants or maybe a herb or plant collection. If you want to spend a bit more, take a look at trees, either fruit or decorative, to bring a splash of green to any garden or patio. Make an “emerald” gift basket filled with gifts in shades of green, such as note cards, candles, green tea, and snacks and treats in green packaging. Add a card to wish them a Happy Emerald Anniversary! What can I buy my husband for our 55th wedding anniversary? These gift ideas can also be for children and grandchildren for a 55th anniversary. Tailor your gifts around their interest and activities. Personalised message gifts come in many items, vase, glass tumblers, personalised love messages to name a few. Personalised bottle of red wine. Tablet and lessons if needed. What should I buy my wife on our 55th wedding anniversary? Whatever the decision be sure and enjoy this 55th wedding anniversary.